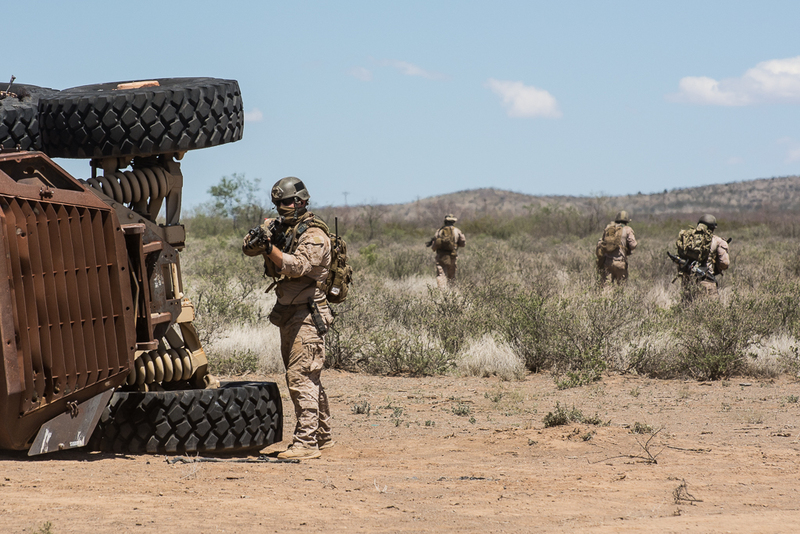 Mine-Resistant Ambush Protected (MRAP) vehicle full of military personnel takes a hit from an improvised explosive device (IED) rendering the vehicle damaged and on it’s side, along with it’s occupants either dead or injured. 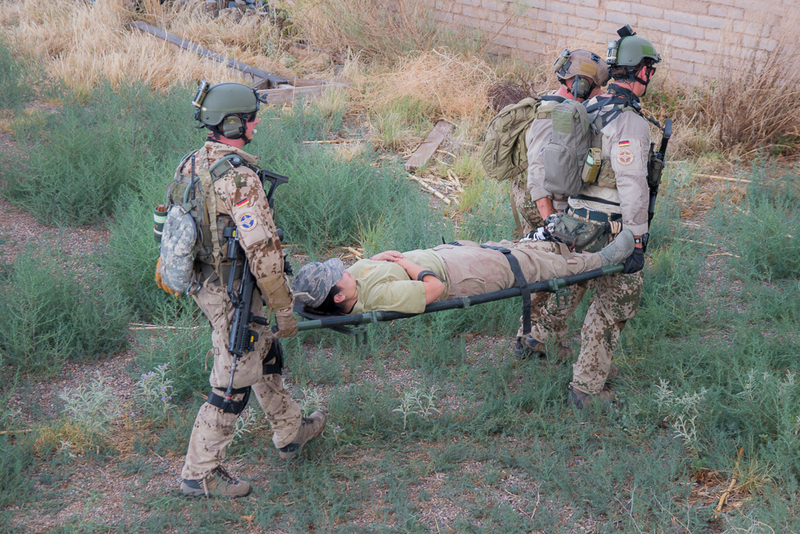 One of the injured personnel radios for help. 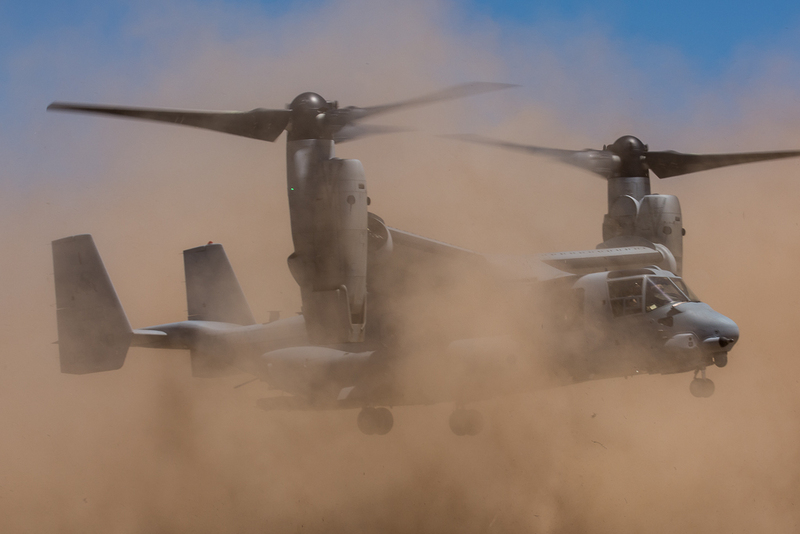 Dozens of Marines from 1st Force Reconnaissance Company arrive in MV-22B Ospreys to secure the area and rescue the survivors. 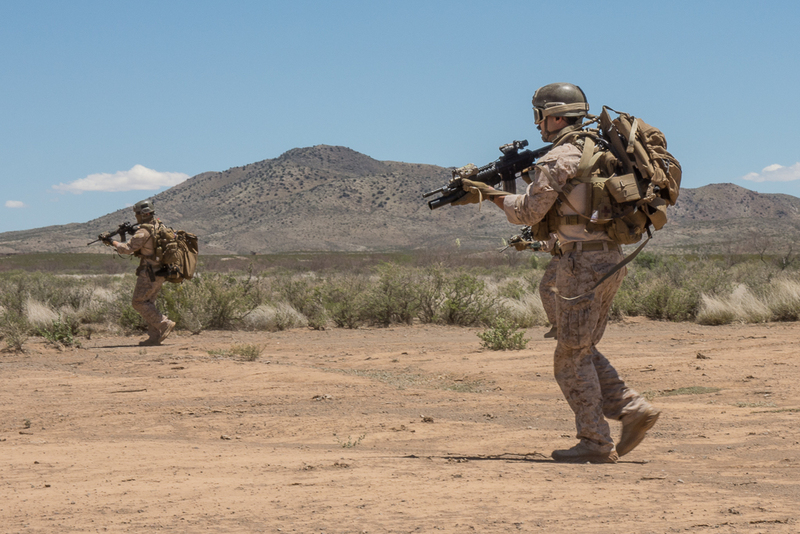 As they are securing the perimeter, the Marines are taking enemy fire from a small village to the north and vehicle to the south. 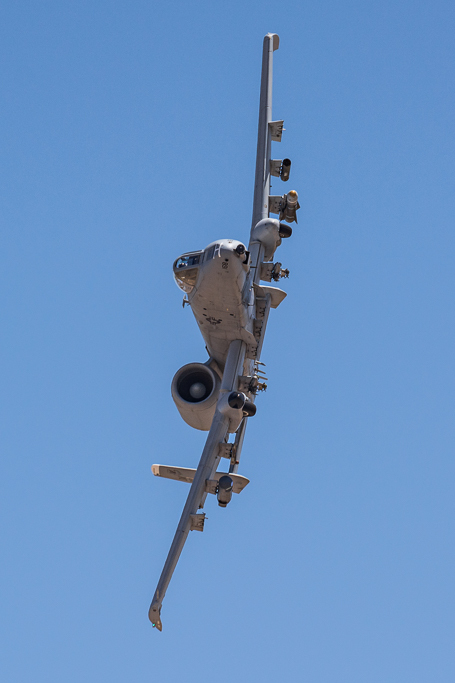 USAF A-10 “Warthogs” are called in to take out the enemy and provide close air support (CAS). 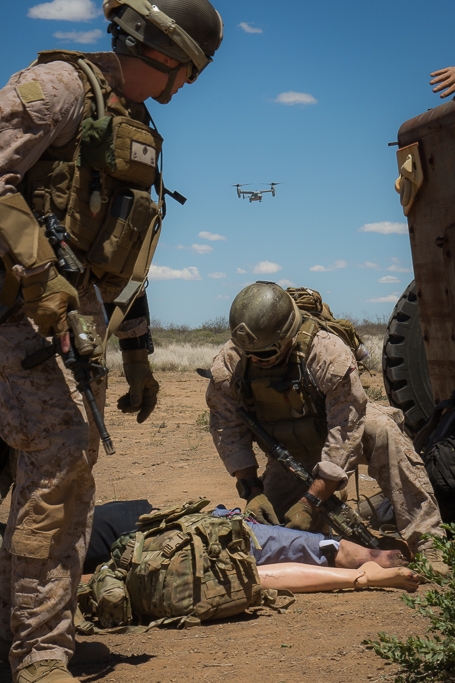 As the Marines fight off the enemy, a small team acts as first responders for the injured personnel. 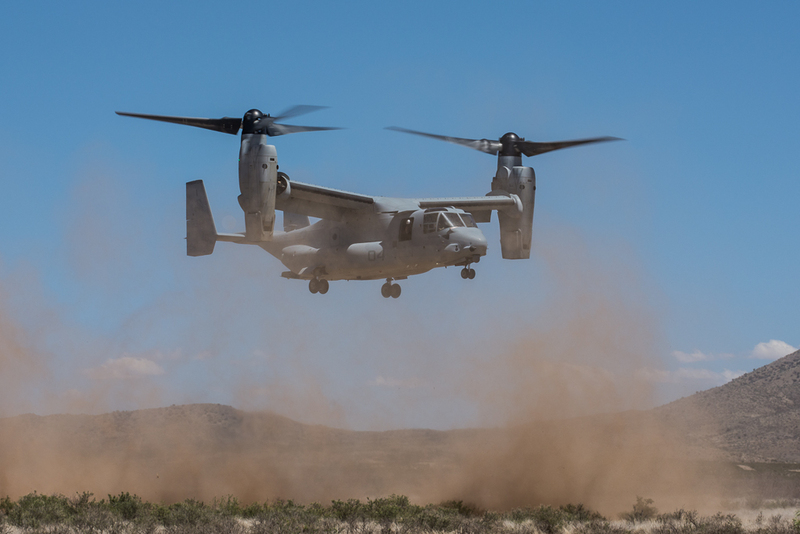 After the Marines provide medical assistance to the injured and secure the area, the Osprey return to pick up the injured and the Marines. 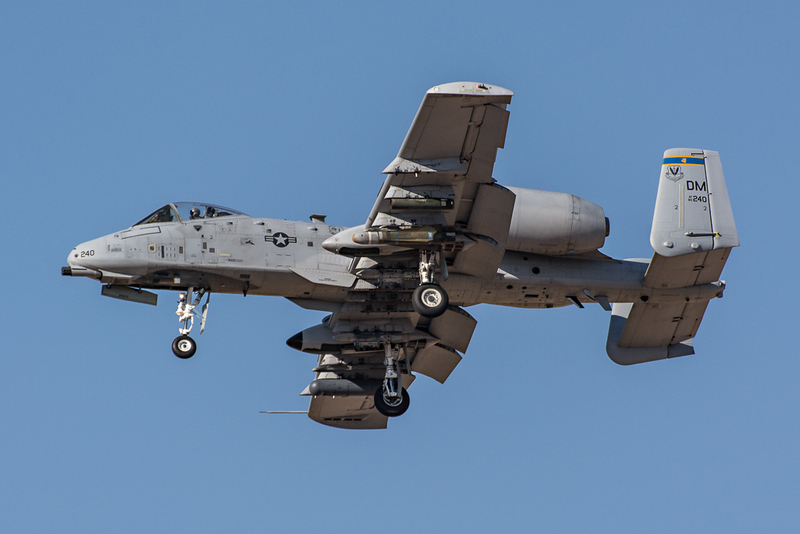 These are some of the sights and sounds of Angel Thunder 2015. 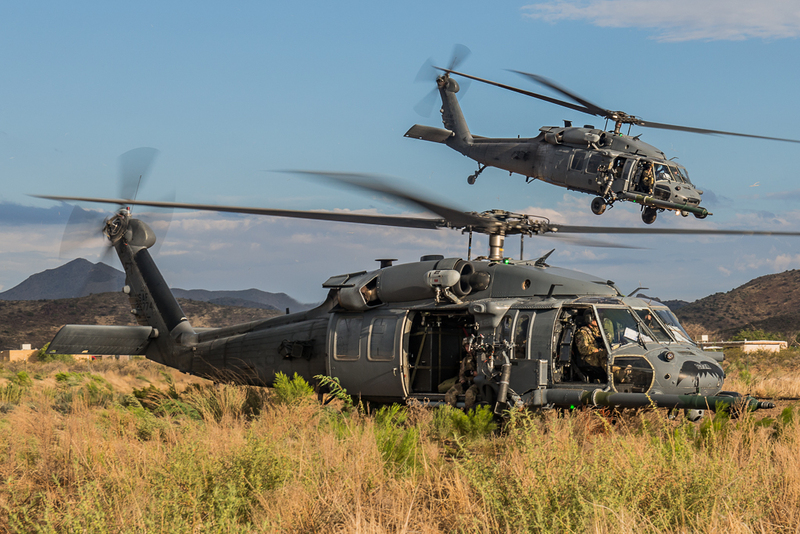 What once began as a local military exercise to help provide realistic training scenarios to United States Air Force (USAF) rescue squadrons, has developed into an Air Combat Command (ACC)-sponsored multinational, interagency combat search and rescue exercise. 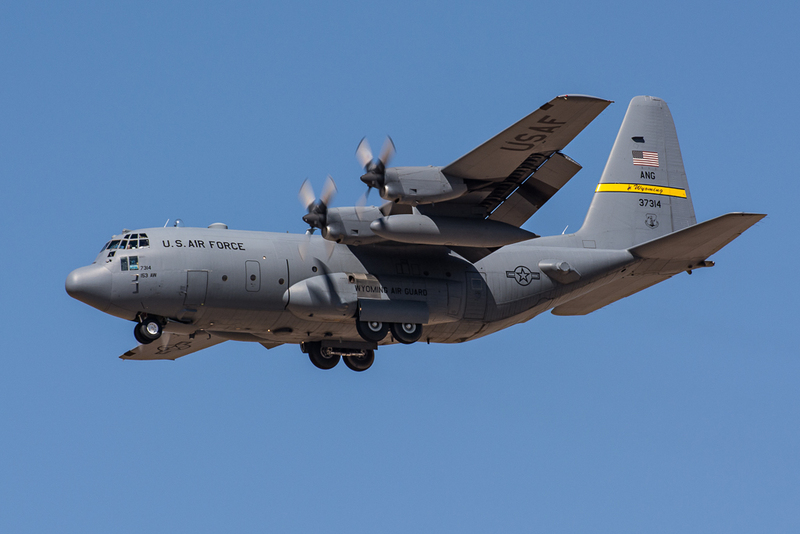 Hosted annually by Davis-Monthan AFB in Arizona, Angel Thunder is the largest personnel recovery exercise in the world. 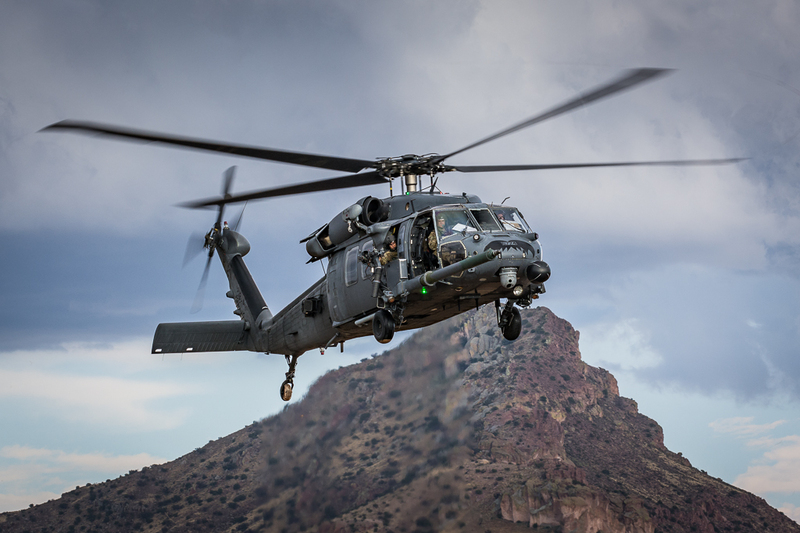 Angel Thunder 2015 featured forces from the United States and eleven partner nations, along with civilian forces from agencies such as the FBI, DEA, US Marshalls, Peace Corps, Civil Air Patrol and other government and non-government agencies. 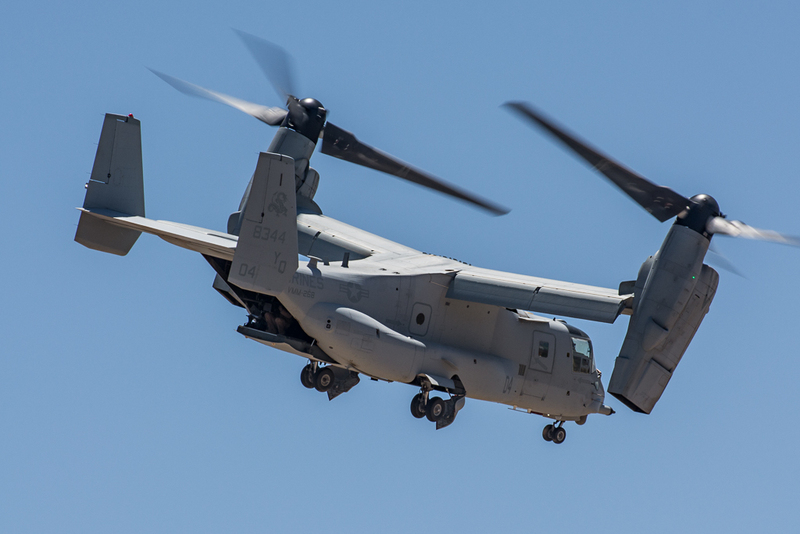 Approximately 3,000 military and civilian forces, and close to 50 fixed-wing and rotary aircraft, participated in Angel Thunder 2015. 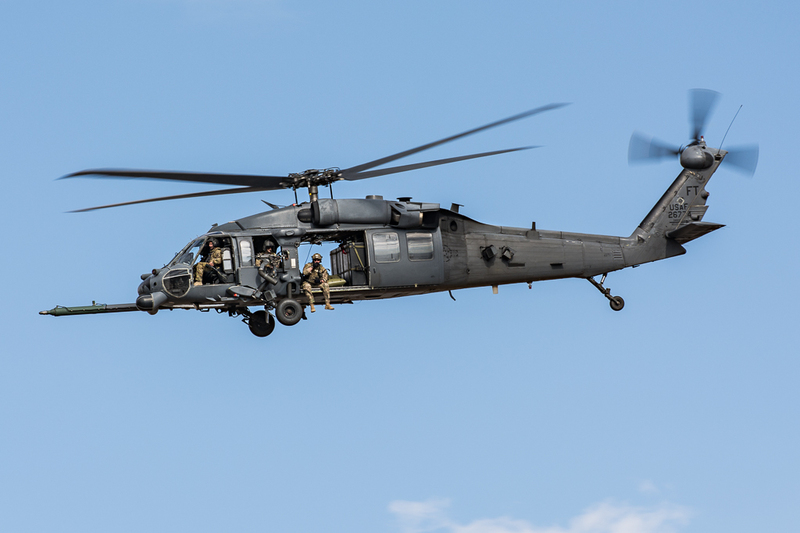 Throughout the exercise, participants are presented with realistic scenarios which call upon their skills and training to execute personnel recovery missions. 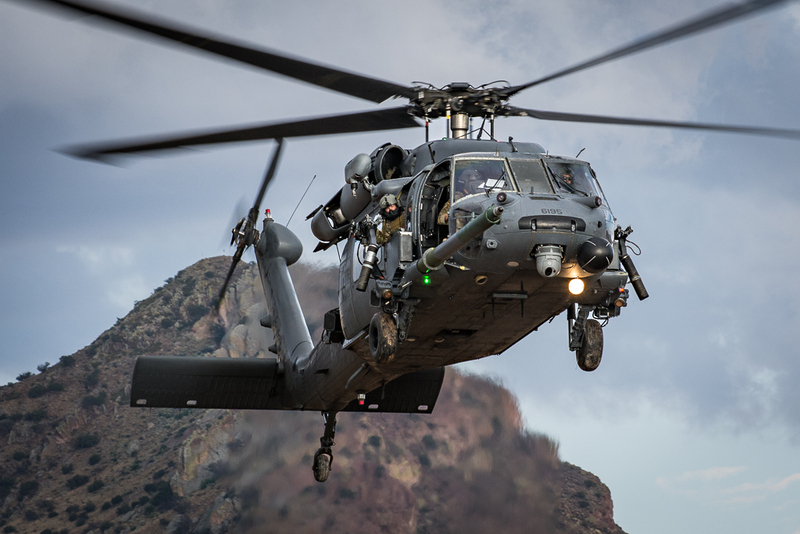 Contested irregular warfare, high-mountain rescue, vehicular extraction and rescue in a contested environment, air and sea rescue operations, irregular insertion and extraction, and personnel recovery in hostile or denied areas are a few of the scenarios presented during the exercise. 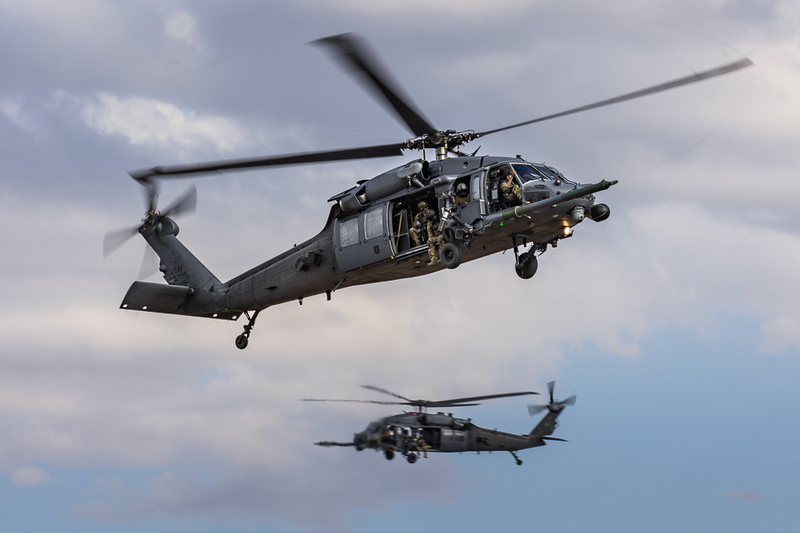 While Angel Thunder is, first and foremost, a personnel recovery exercise, many of the participants include special forces and special operations units from around the globe. 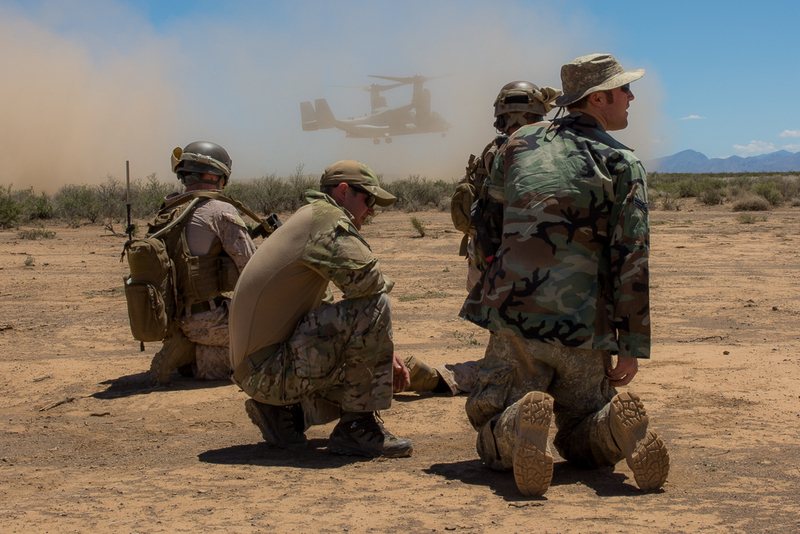 For some countries, like Chile, many of their special forces commandos are called upon for humanitarian efforts including personnel recovery. 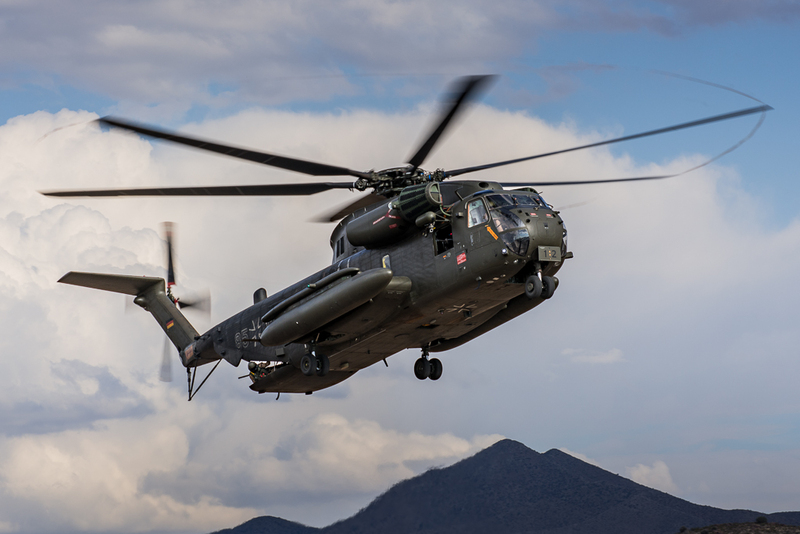 With no immediate military threats, Chile is a country under the constant threat of natural disasters such as flooding, earthquakes and volcanoes. These units are vital to the survival of thousands of people each year that are victims of these disasters. 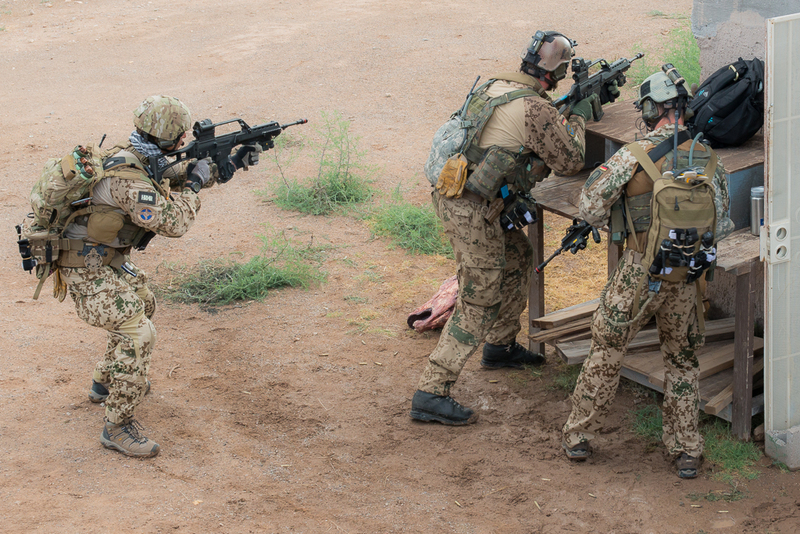 When one hears the term “special forces” we think of Green Berets, Navy Seals, SAS and other elite groups. 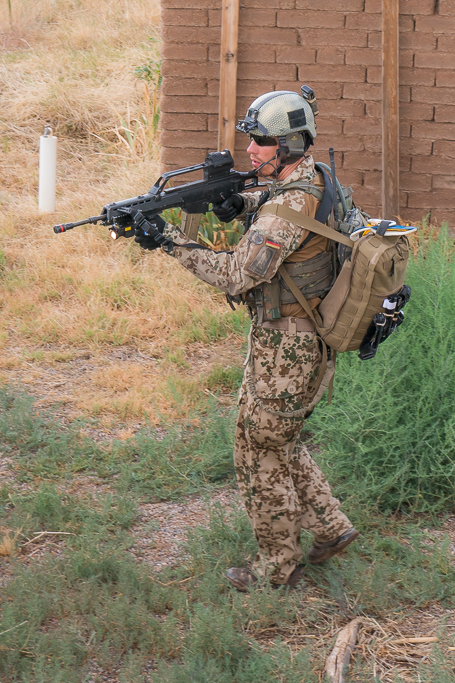 One of the most underrated of the special forces/ops groups are the pararescuemen, or PJ’s. 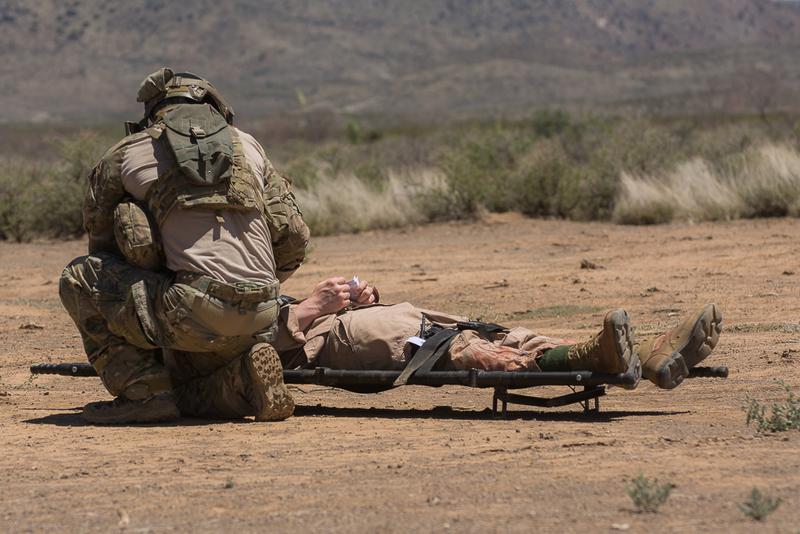 Their motto: “That Others May Live,” is a clear indicator of what PJ’s are tasked to do…save lives. 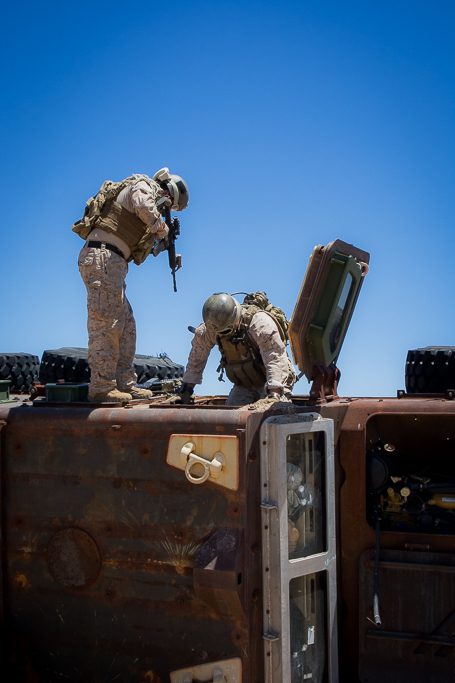 PJ’s go through some of the most rigorous training in the U.S. Military. 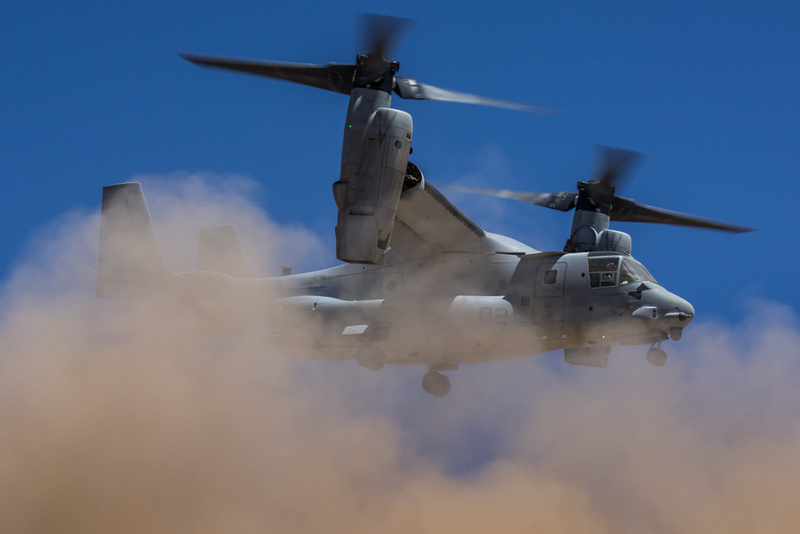 Their missions often require them to enter hostile and contested environments in order to save lives. 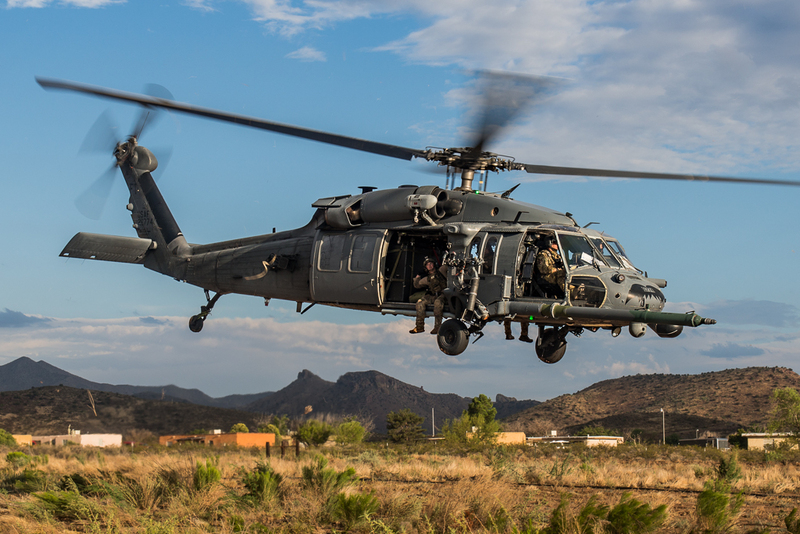 Whether the term special forces, special operations, or other terms like commando are used, the mission during Angel Thunder is all about saving lives. 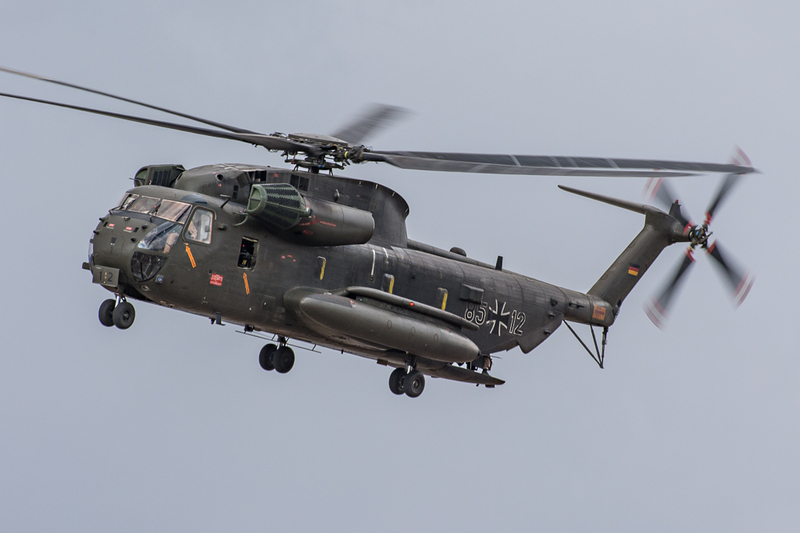 An example of some of the logistical challenges that required careful planning was the German Air Force (Luftwaffe) bringing three Sikorsky CH-53GS helicopters operated by Hubschraubergeschwader 64 (HSG64) (Helicopter Wing 64). 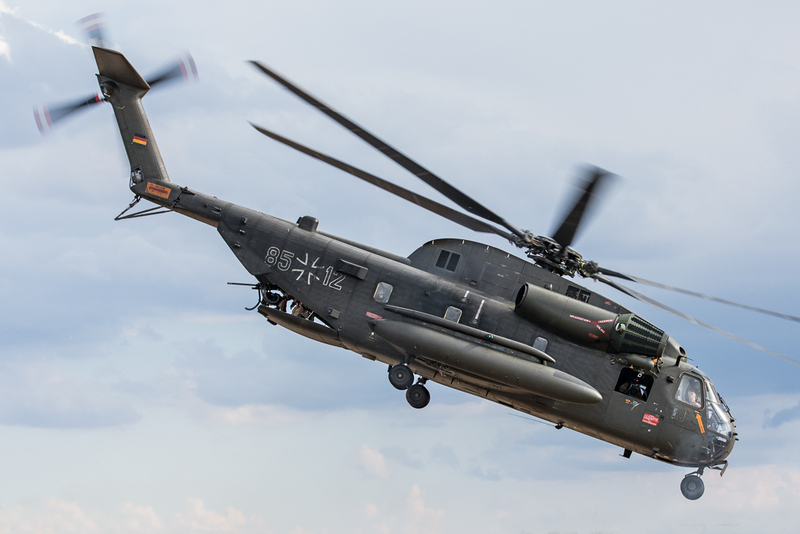 These helicopters required some disassembly for transport and a large Antonov An-124 Ruslan aircraft had to be procured to transport the rotorcraft from Laupheim Air Base in Germany to Holloman AFB for pre-deployment, then from Holloman AFB to Davis-Monthan AFB. 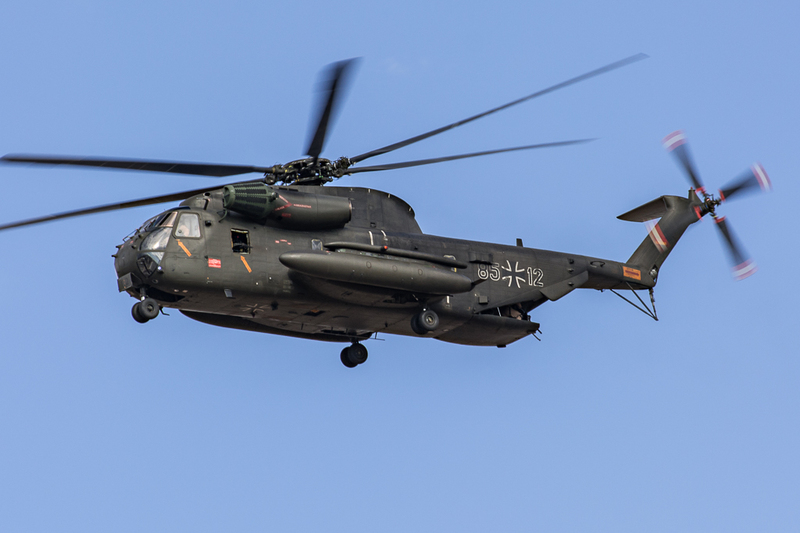 In addition to the rotorcraft, troops, supplies and equipment needed to be transported from Germany. 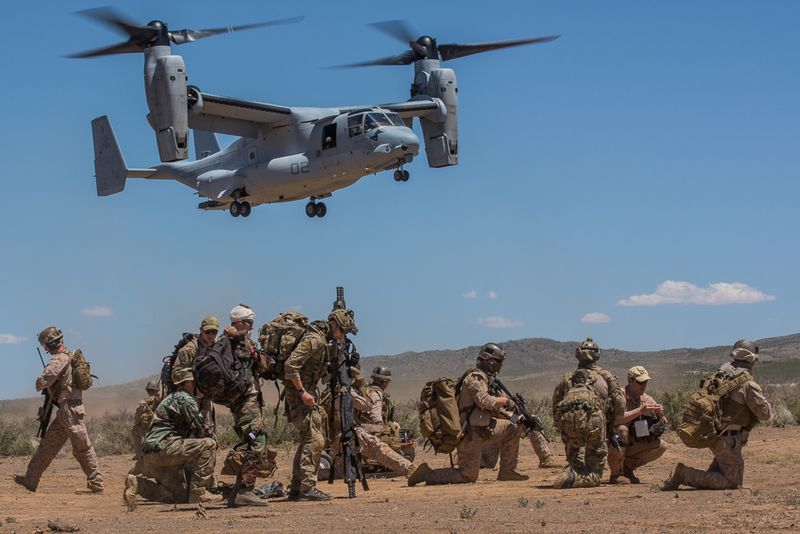 Living by the motto: “That Others May Live,” PJ’s are highly trained special forces that operate under the Air Force Special Operations Command. 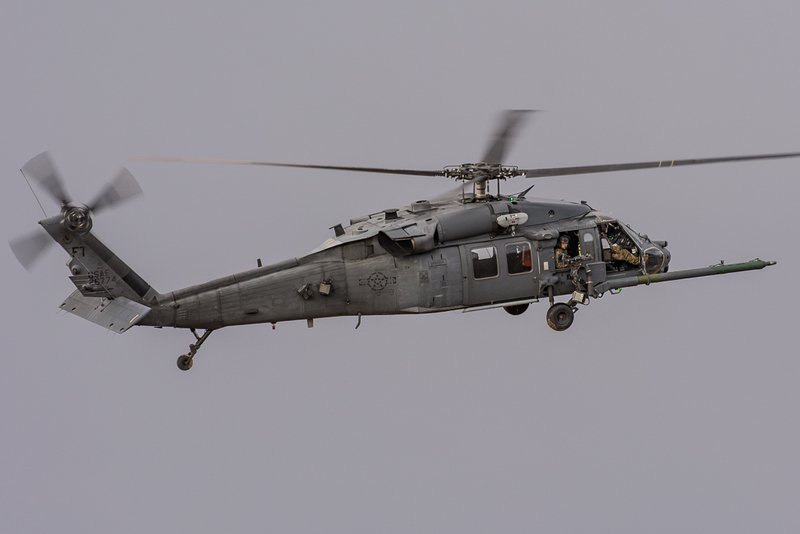 PJ’s are the only special ops group that is specifically trained and equipped to conduct conventional and unconventional rescue operations. Their rigorous training can last close to two years and is nicknamed: “the Pipeline” or “Superman School.” The attrition rate for the training is close to 80%. 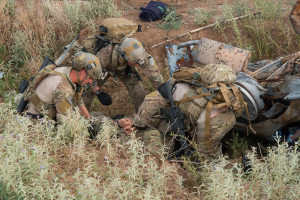 Training to be a Pararescuemen begins with the Indoctrination Course, followed by U.S. Army Airborne School, USAF Combat Diver Course, U.S. Navy Underwater Egress Training, U.S. Air Force Basic Survival School, U.S. Army Military Free Fall Parachutist School, Paramedic Course, and the Pararescue Recovery Specialist Course. 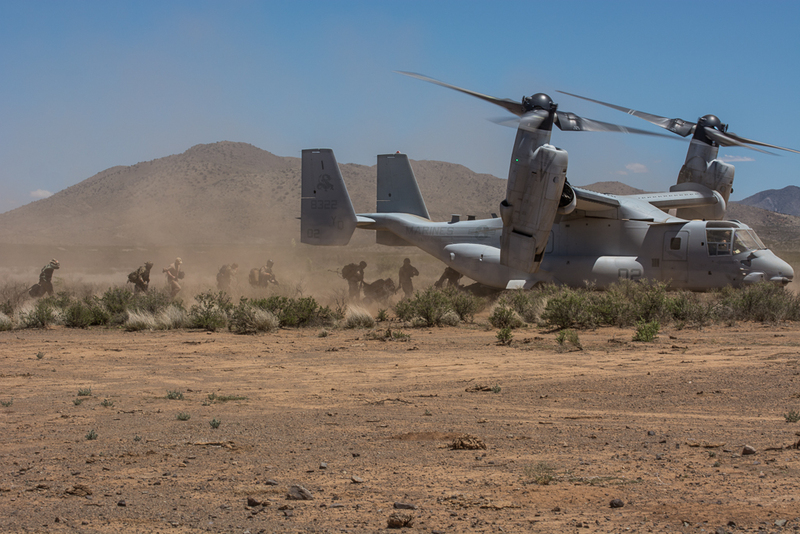 In one scenario during Angel Thunder 2015, the mission called for PJ’s jumping from a HC-130J Combat King into a village that was about to be overrun by an insurgency. A bad weather cell moved into the area and the jump was cancelled for safety reasons. 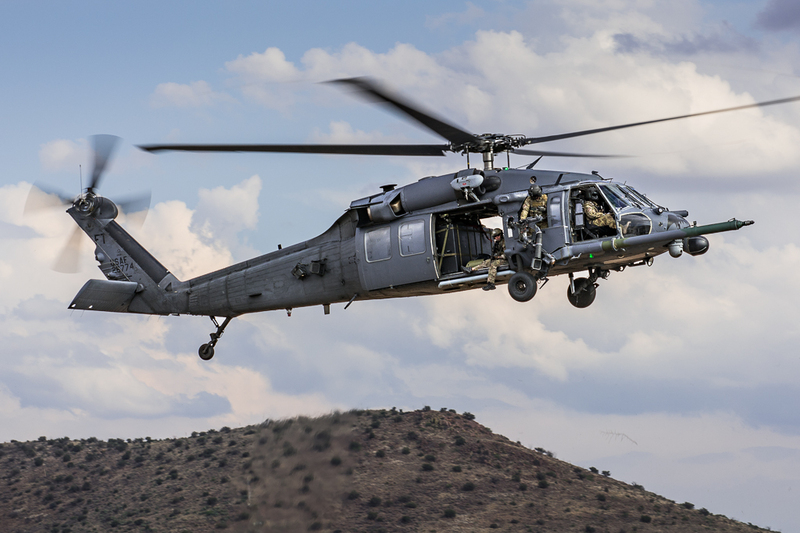 At that point, the execution of the mission had to adapt and be modified for the change in resources. 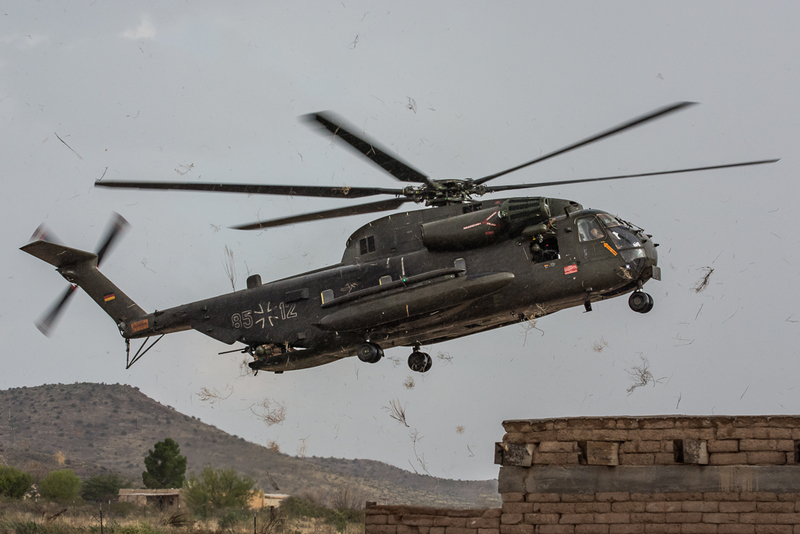 While calling off a jump due to bad weather may not always be practical in a real world scenario, adapting to a change of resources is often required in actual missions. 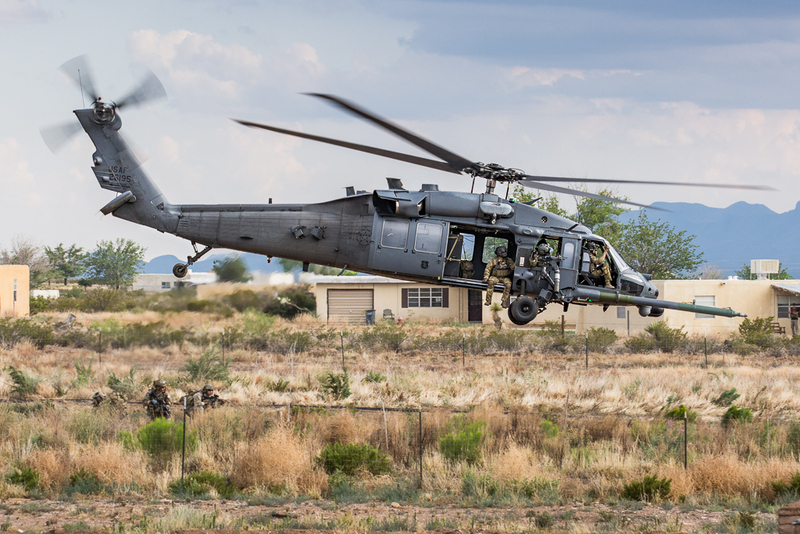 Angel Thunder 2015, much like the Angel Thunder exercises over the past few years, utilized a wide geographic area to carry out the training and scenarios. 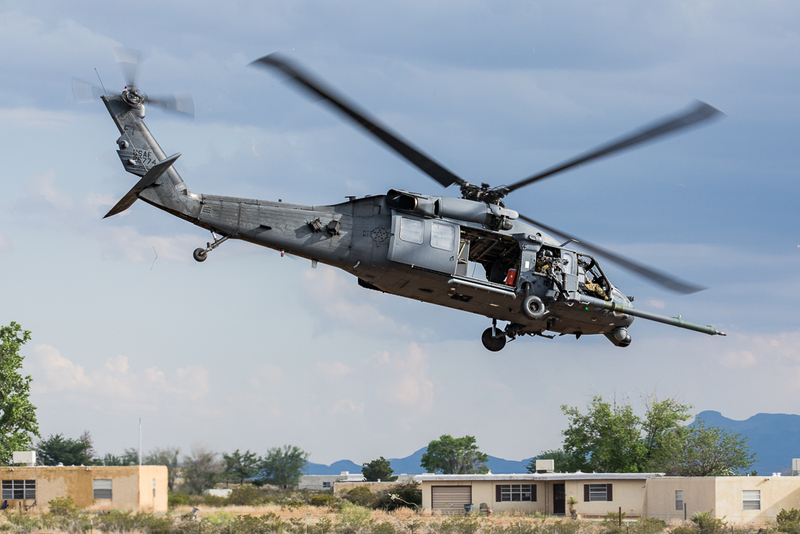 While Davis-Monthan AFB in Tucson, Arizona served as the home base, other locations in Arizona, California and New Mexico were utilized to stage scenarios. Military operations areas (MOA’s) in these states were utilized along with a few temporary MOA’s that were established for the exercise. The diverse landscape in these locations helped emulate locations and environments where actual missions could take place. 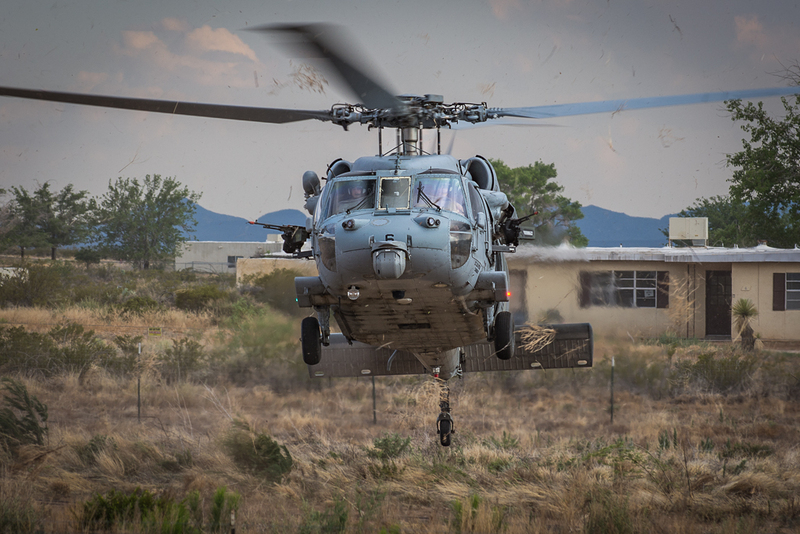 Whether it was a mass casualty exercise at Camp Navajo Training Site, AZ, high-angle rescue training at Mount Lemmon, AZ, or air and sea rescue operations over the Pacific Ocean, a wide variety of landscapes were utilized for staging areas during Angel Thunder 2015. 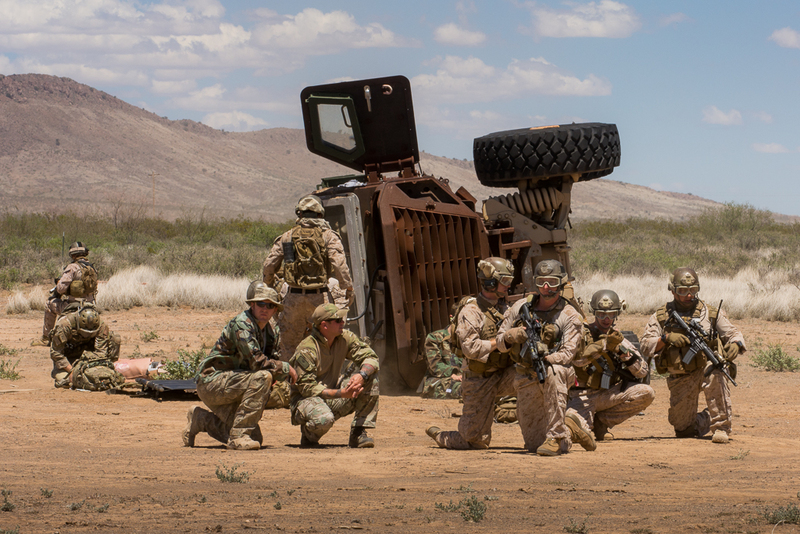 One of the more interesting locations used was the Playas Training and Research Center (PTRC) located in Playas, NM. 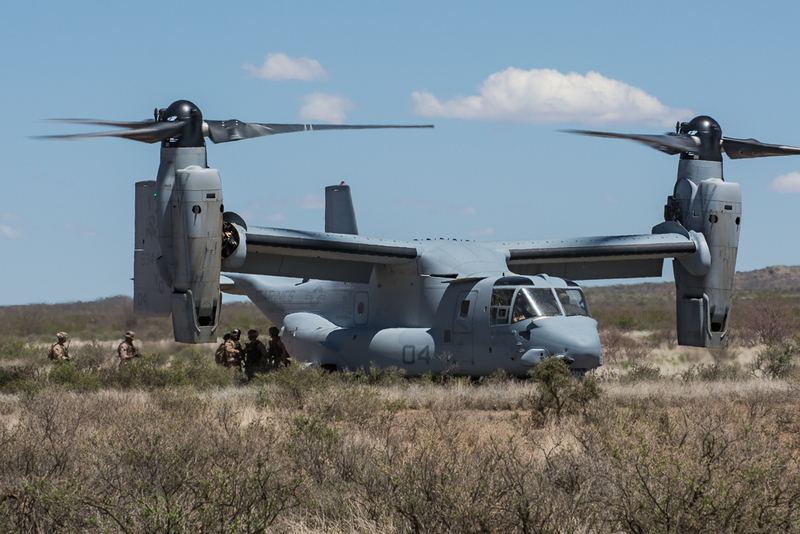 Sometimes known as the Playas anti-terror training center, the PTRC is located about 180 miles from Davis-Monthan AFB in the “boot heel” of New Mexico. 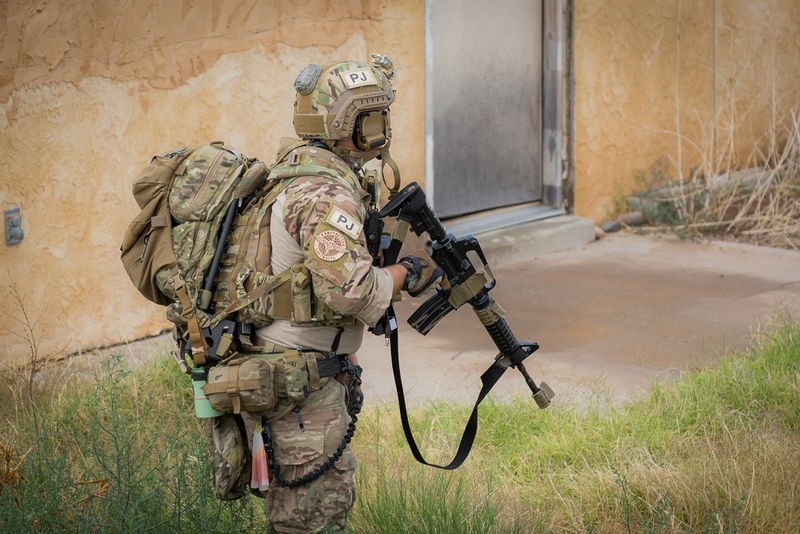 This former mining community is now an abandoned town that helps emulate multiple urban training environments along with several “villages” that can be set up to mimic locations around the globe. 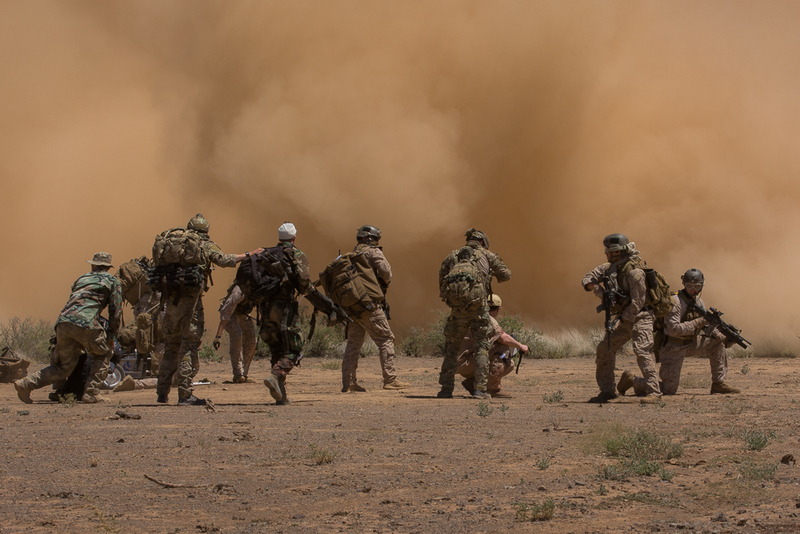 Since the training during Angel Thunder is not designed with a specific enemy in mind, the PTRC provides settings that can emulate many different global urban/suburban environments and simulate the type of warfare one would expect in these environments. 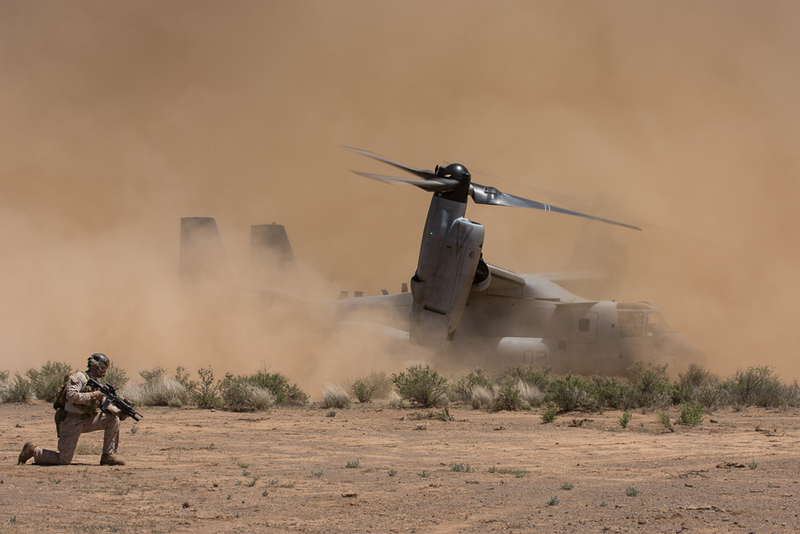 Actors (college students, airmen and other volunteers) are often utilized to provide the civilian obstacles one would encounter while conducting missions in these areas. 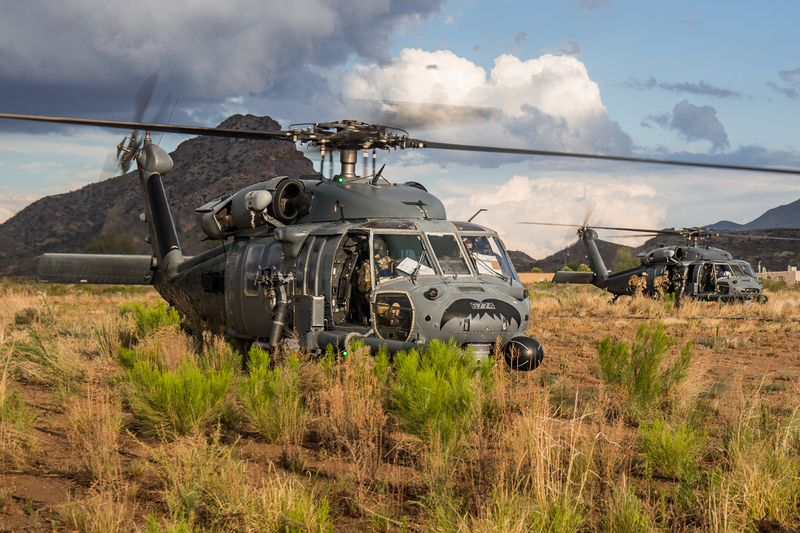 One of the most challenging aspects of Angel Thunder is the integration of military and civilian forces. 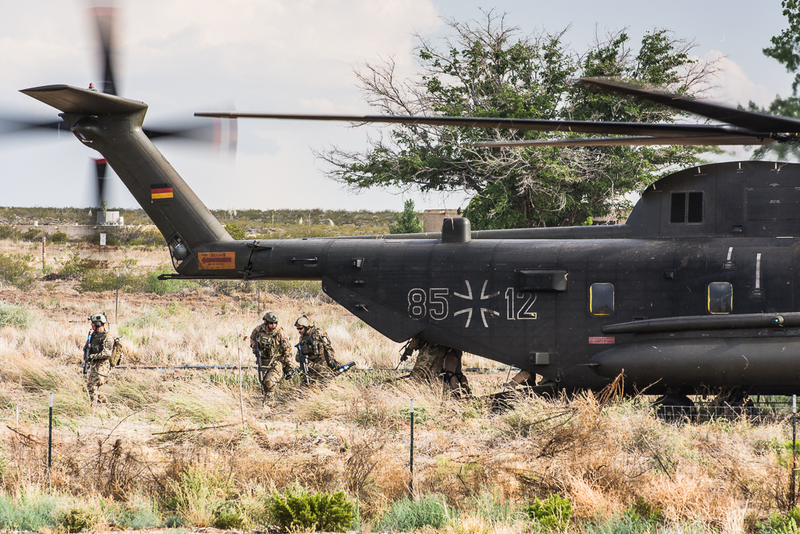 While this integration takes place throughout Angel Thunder, the complex mission sets in the second week of the exercise present many challenges. 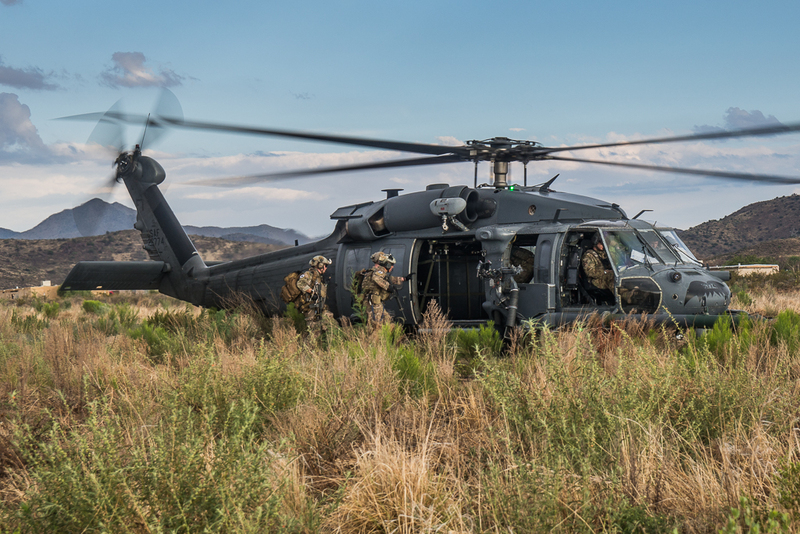 Units from around the globe integrate to conduct missions calling upon their specific specialties to work towards a common goal. 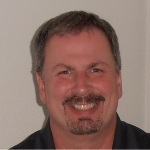 Some of the challenges faced include communication barriers, terminology differences, differences in tools and techniques used, and many more. 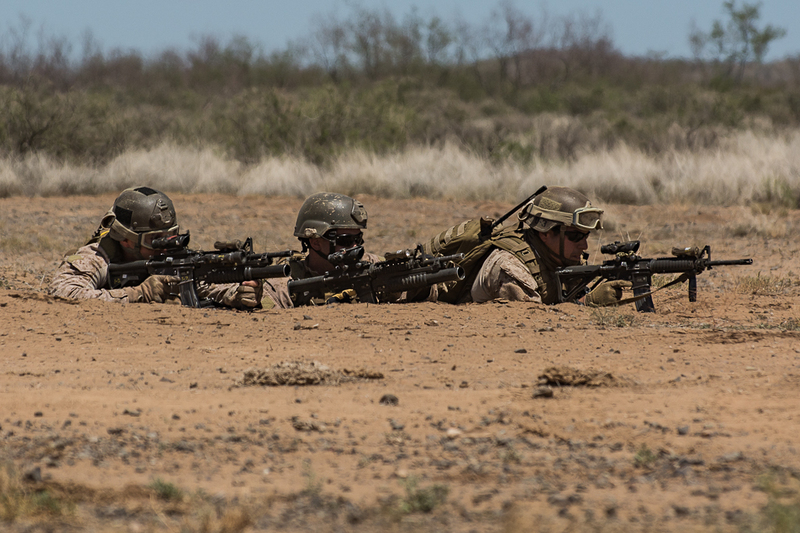 “Force integration occurs during every phase of the exercise, from planning and execution to mission debrief. 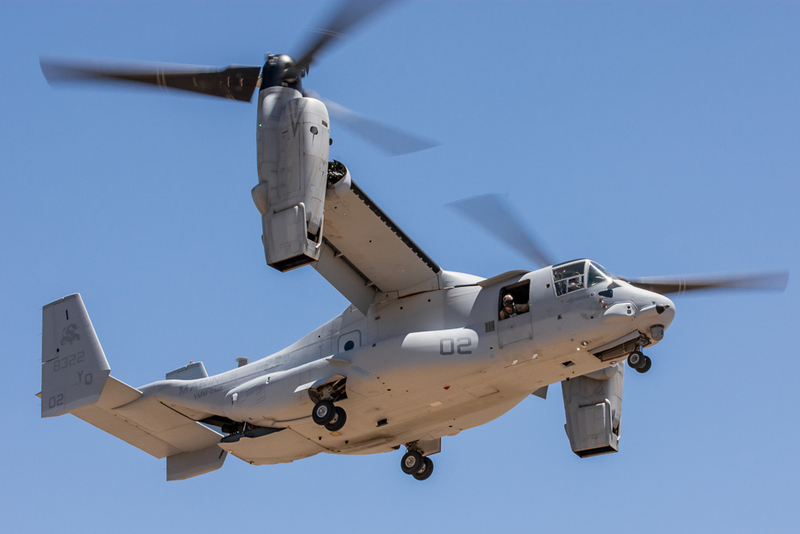 It also occurs operationally as liaison officers from various services and partner nations occupy critical positions in the exercise command and control structure,” LtCol Guischard told Aviation Photography Digest. 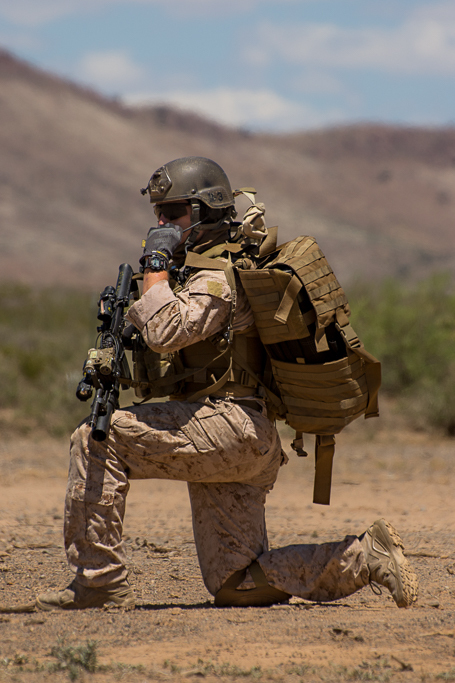 “Challenges to integrating forces include varying levels of proficiency in certain events, i.e. some countries aren’t as comfortable operating in certain environments, like night, than others. 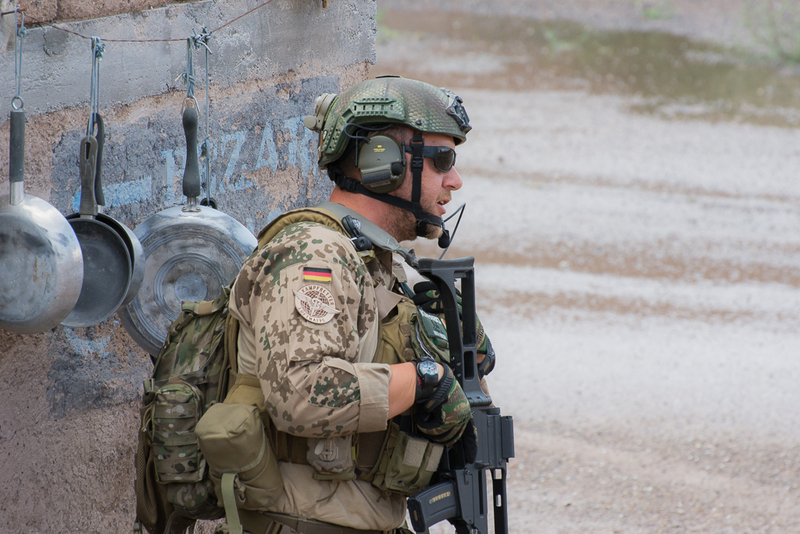 Equipment differences and language barriers (even among US military services!) 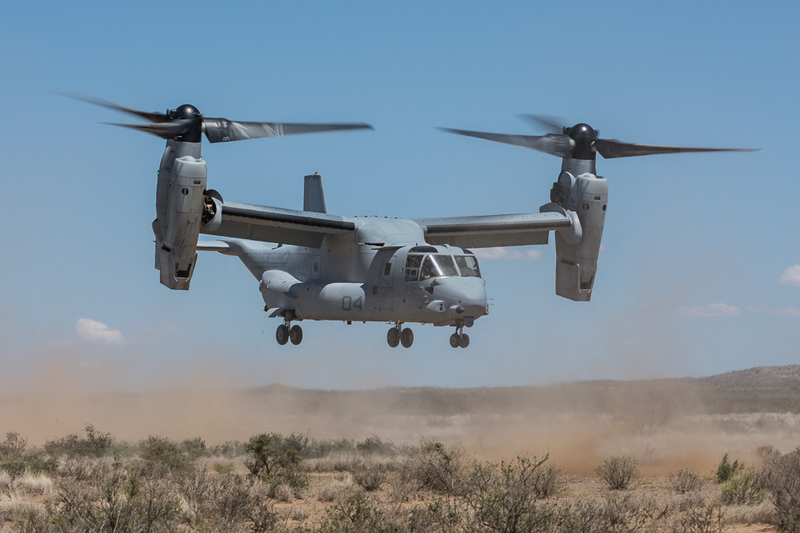 are also challenges,” LtCol Guischard added. What started as a town built by Phelps Dodge in the 1970’s for employees in a nearby mine, in 2004 was purchased by New Mexico Tech. Since then, the transformation began into what we know today as the Playas Training and Research Center (PTRC). 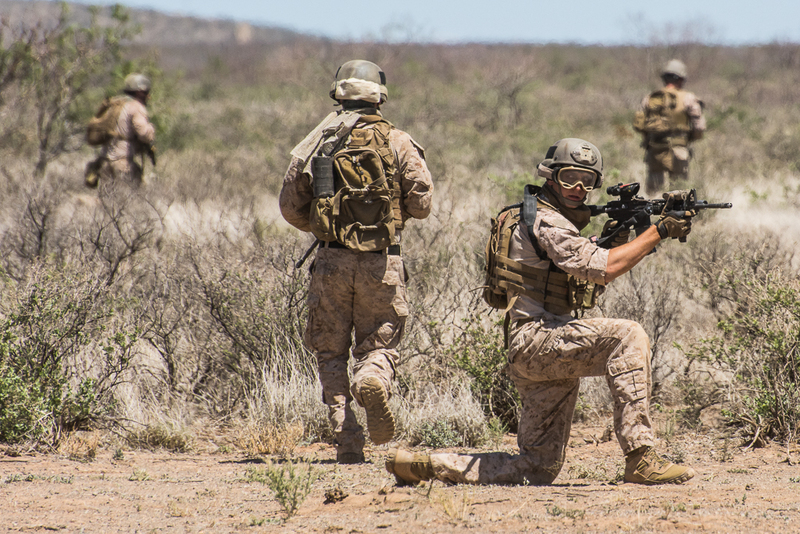 The town quickly became known as the Playas Anti-Terror Training Center, or “Terror Town”. As the town was being utilized by more law enforcement agencies and military personnel, new structures and themed venues were built to help create arenas where realistic scenarios can be staged. 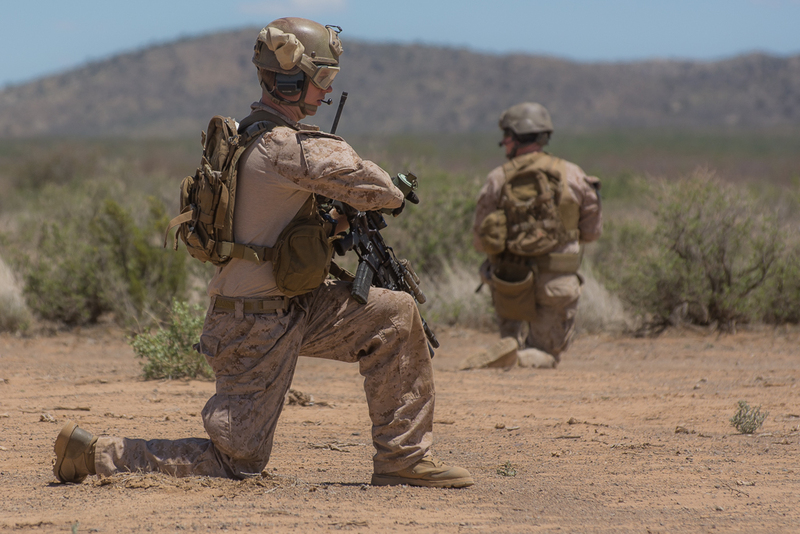 Currently, six Other Than American (OTA) venues are part of the PTRC along with a residential range, driving track, firing ranges, explosive range and an airfield. 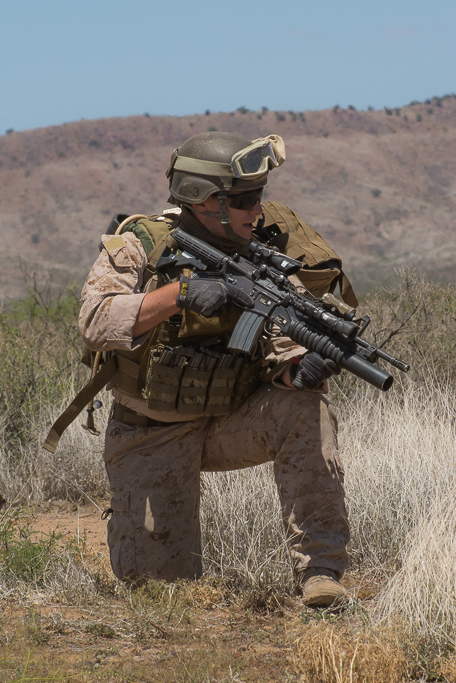 In all, there are over 400,000 acres of operational space that can be used for training at the PTRC. 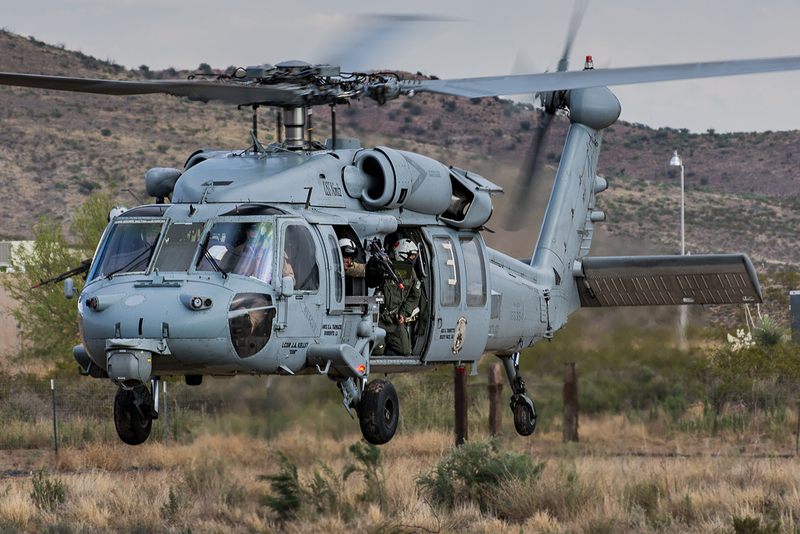 The neighborhoods and OTA venues are set up with state-of-art video cameras to capture missions as they are executed. 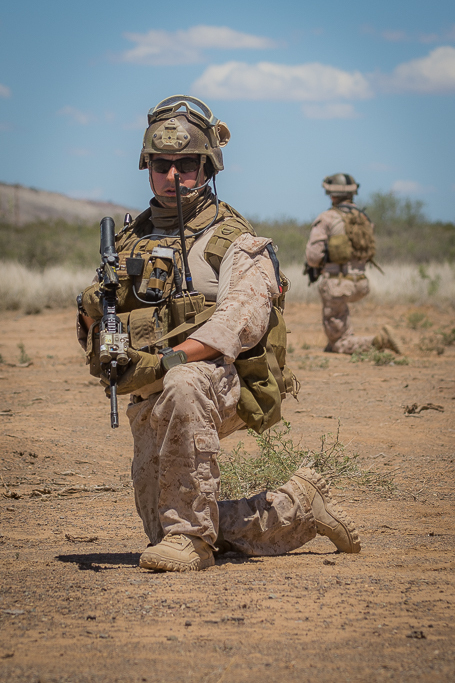 Throughout Angel Thunder, the lessons learned on the mission and exercise level contain valuable learning experiences that validate the need for exercises such as Angel Thunder. 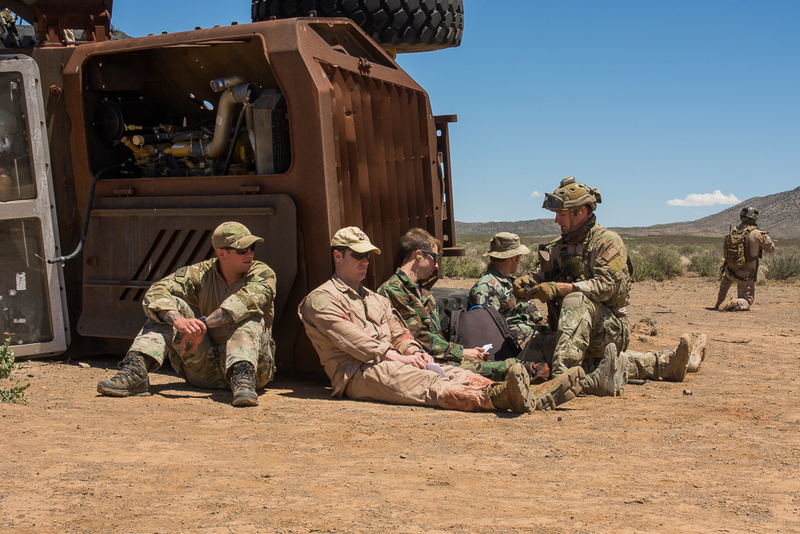 “One of the most important parts of the exercise is the mission debrief which occurs approximately 45 minutes to one hour after each scenario is concluded. Every participant gathers together to extract the ground truth and offer the good and bad of the mission execution. Exercising is not a fruitful activity if we do not learn. 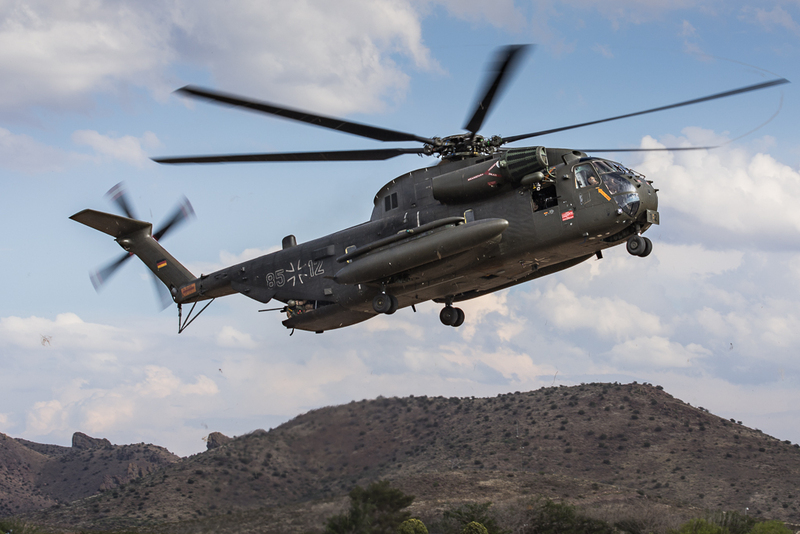 Larger lessons learned are captured by a team from Air Combat Command that observes the entire exercise for this exact purpose. 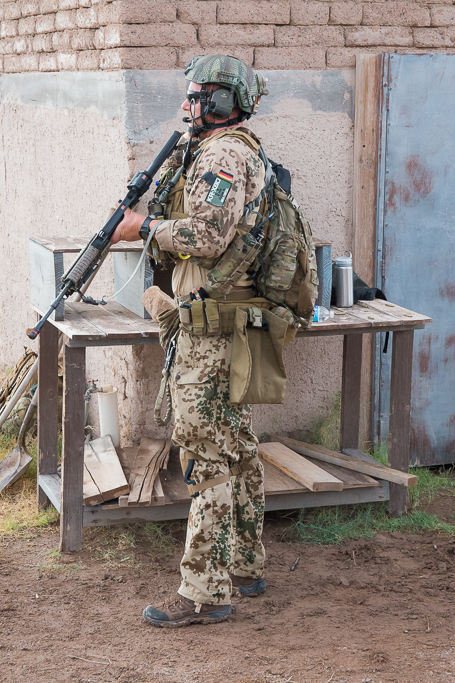 These items are briefed at the two hour exercise hot-wash that occurs on the last day of the exercise. 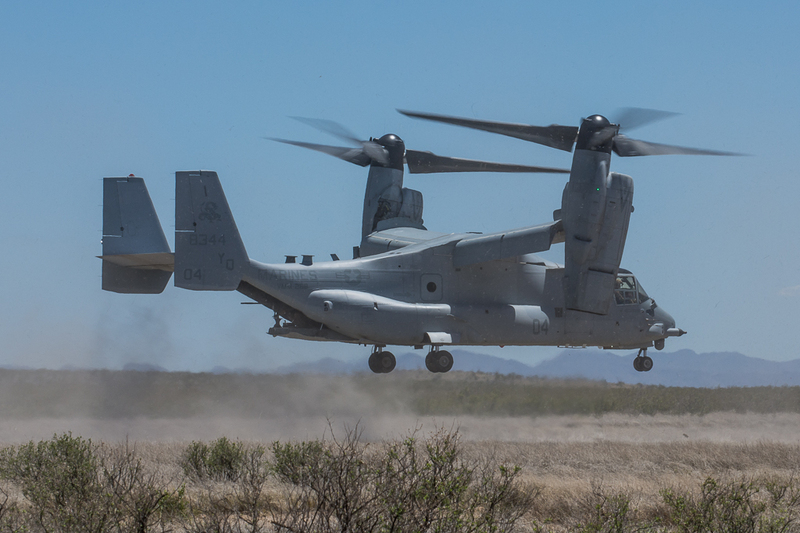 Both good and bad are considered for the next year’s iteration,” LtCol Guischard stated. Learning how to work together is a large part of the experience. 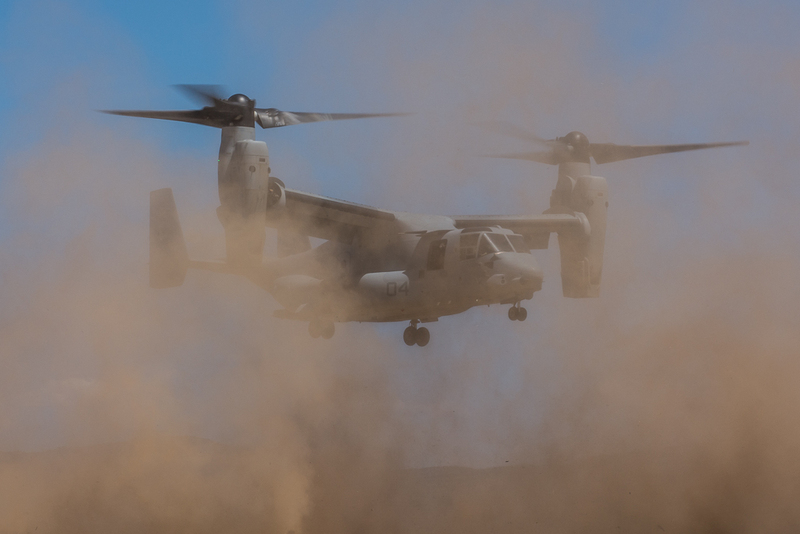 “I think the biggest takeaway here is how we can coordinate and conduct planning together and understand each other’s limitations and capabilities, while developing the personal and professional relationships between the services that will make us more successful when we deploy together,” said Maj Owen. 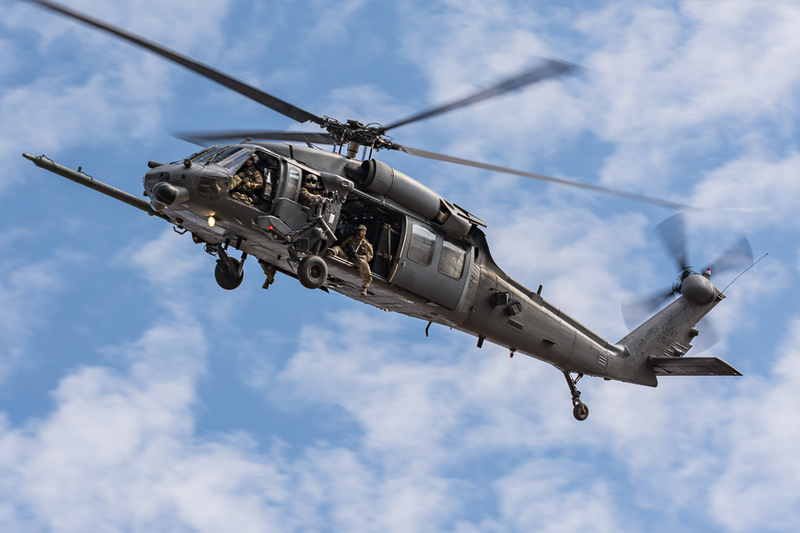 In the U.S., to ensure that personnel recovery guidelines are consistent throughout the Department of Defense (DoD), the Joint Personnel Recovery Agency (JPRA) takes primary responsibility for DoD-wide personnel recovery (PR) matters, less policy. 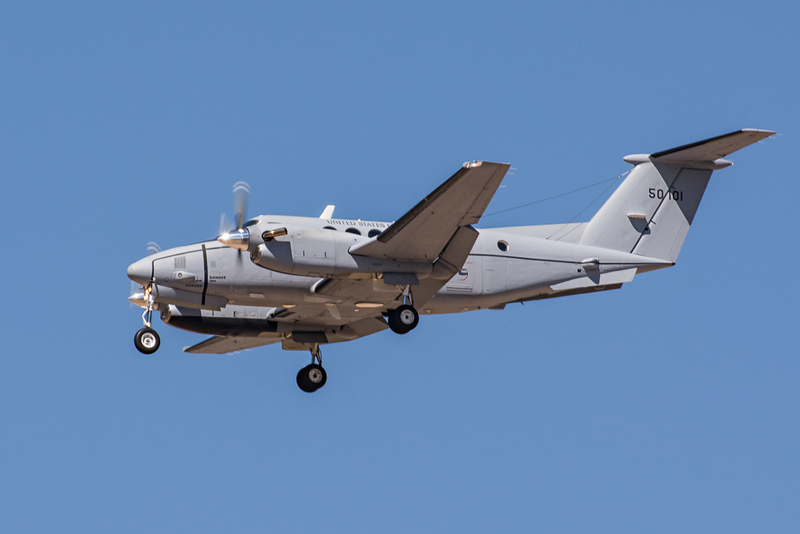 The lessons learned during Angel Thunder that require changes to the current training syllabus would be submitted to the JPRA for incorporation into updated training documents. 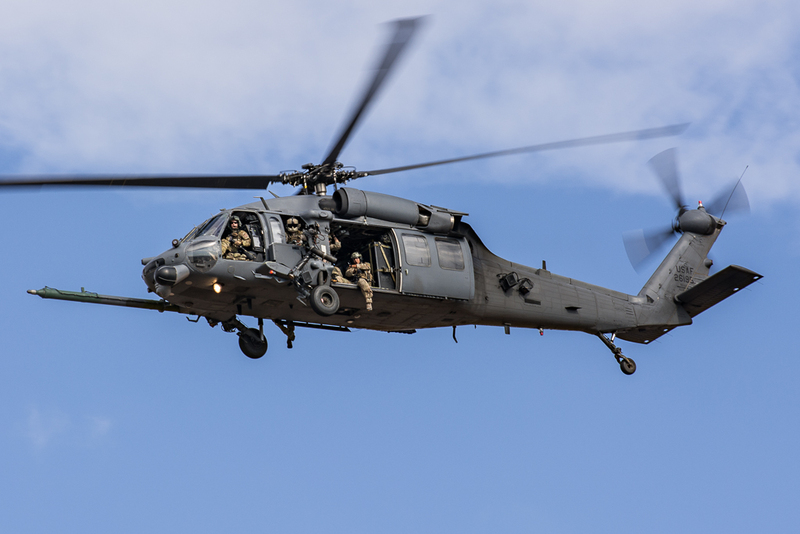 Looking ahead, Angel Thunder 2016 promises to continue to be the largest personnel recovery exercise in the world. 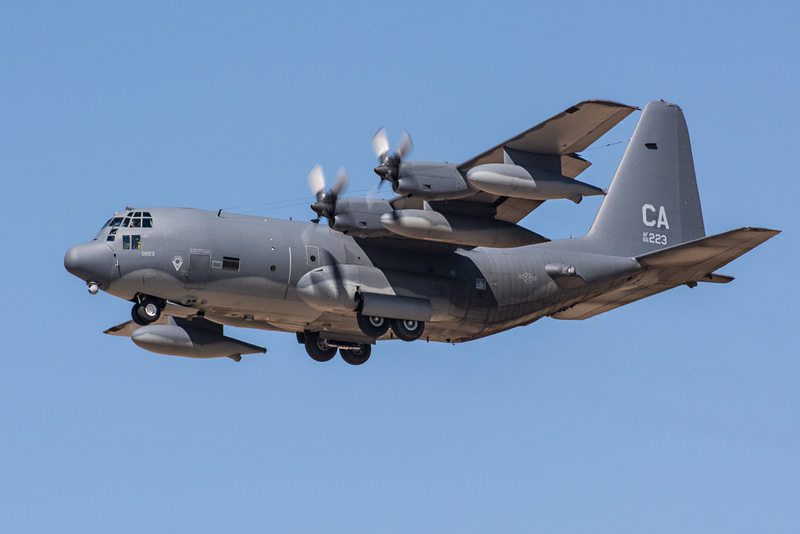 Perhaps with the guidance of the 57th Wing, Angel Thunder will become part of a tradition of USAF large-scale exercises such as Red Flag, Green Flag and others. 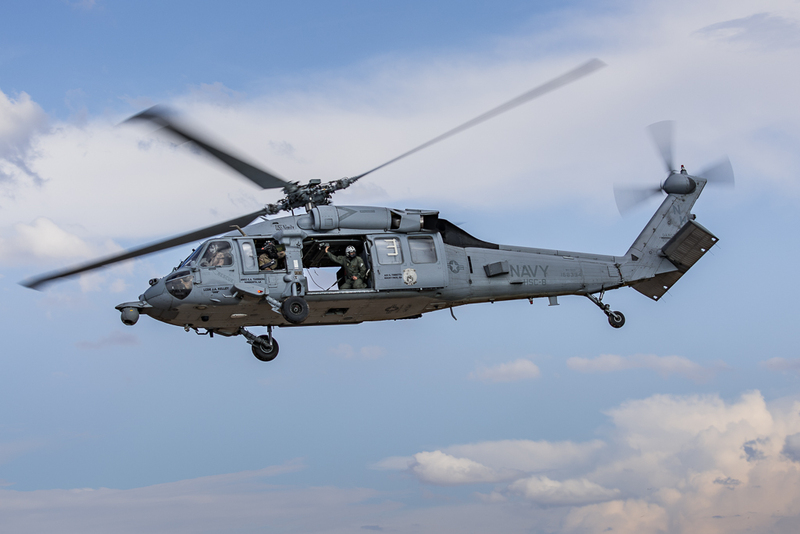 One thing is certain, more priceless human lives around the world will be saved because of the training and experience participants received during exercise Angel Thunder. Angel Thunder 2015 took place from May 30-June 13, 2015. 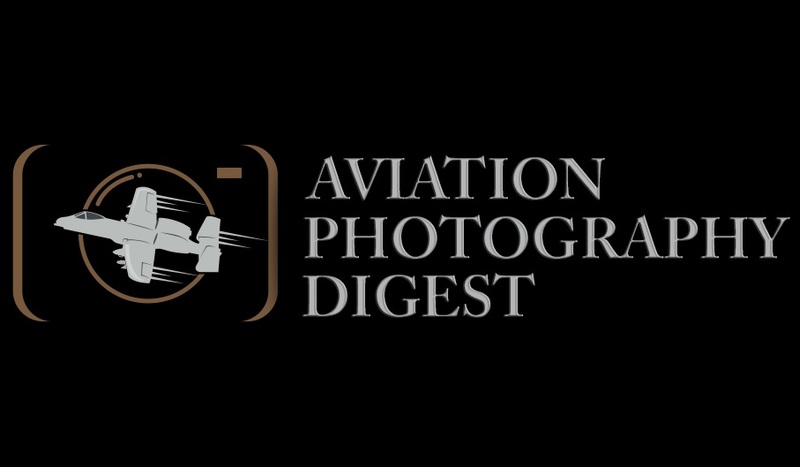 Acknowledgements: Aviation Photography Digest would like to thank LtCol Guischard for taking the time to respond to our interview questions and Lt Erin Ranaweera, TSgt Courtney Richardson, SSgt Angela Ruiz and SSgt Bradley Sisson for all their assistance with this article. 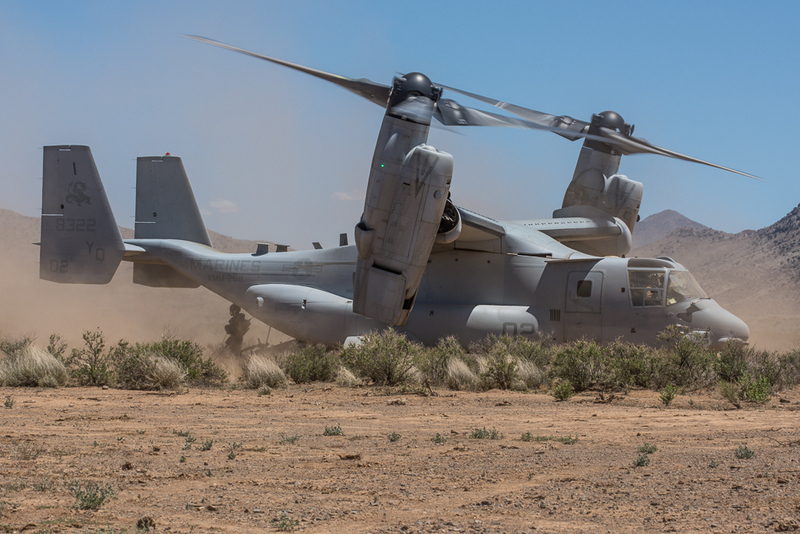 A MV-22B Osprey from VMM-268 arrives to pick up injured personnel and Marines from 1st Force Recon Co.
A MV-22B Osprey from Marine Medium Tiltrotor Squadron 268 (VMM-268) "Red Dragons"
Marines from 1st Force Recon Co.
A Marine from 1st Force Recon Co.